Blue Screen of Death (BSOD) is a very common issue for Windows 7 users. When a BSOD occurs, your computer displays a bunch of text with a blue background on the screen. It can happen all of a sudden or regularly. If you are being troubled by this issue, you can try the methods as follows. They can help your Windows 7 computer get out of the annoying BSOD problems. (Note that the methods 1 to 3 below can only be performed when you can enter your operating system. If you can’t, try the methods 4 to 8. The BSOD you meet can result from errors on your hard drive. 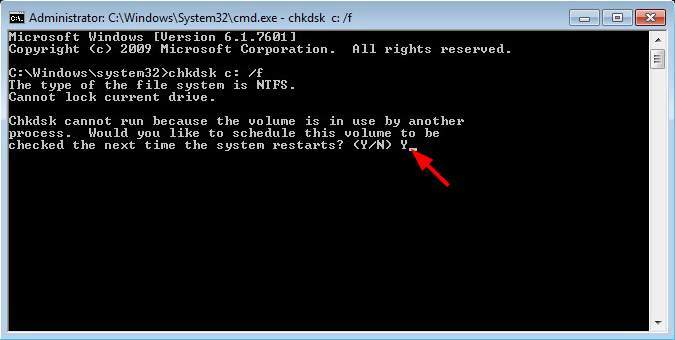 You can run the disk checking tool built in Windows 7 with Command Prompt to fix the errors. a) Click on Start menu, and type “cmd“. 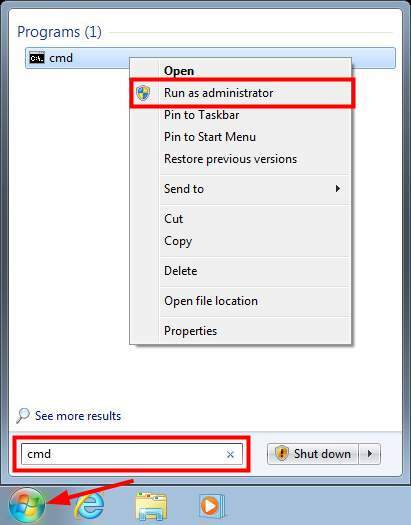 Right-click on CMD in the result and select Run as administrator. 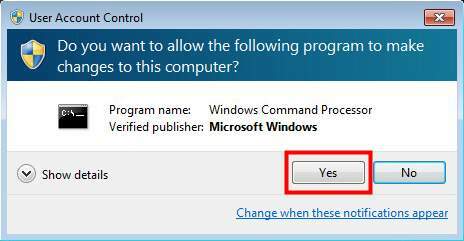 b) Click on Yes when you are prompted. And then Command Prompt will open. d) If the system asks you whether you want to schedule this check to next time the system restarts, type “Y” and hit Enter. e) Restart your computer to complete the check. 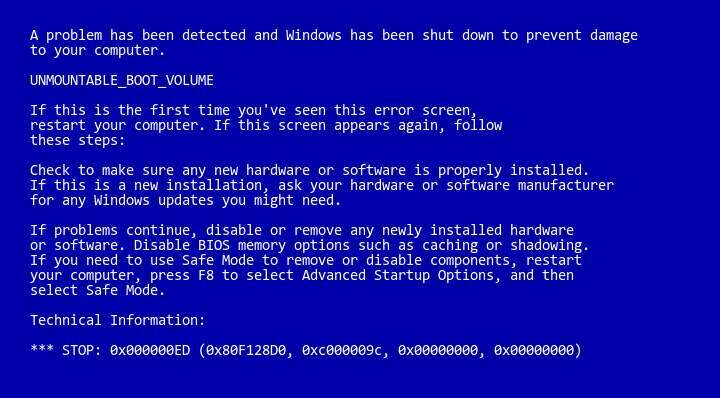 The Windows 7 you are using may have some flaws that lead to BSOD issues. You can patch up these flaws by installing updates of Windows 7 provided by Microsoft. 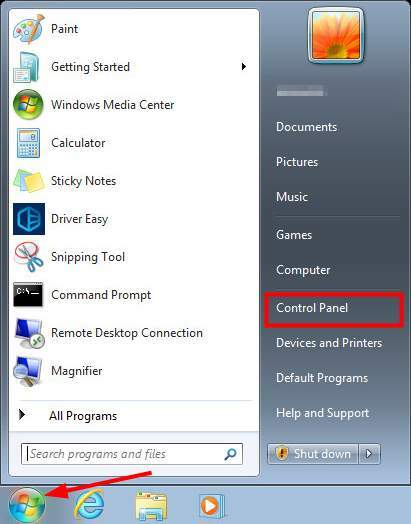 a) Click on Start menu and then on Control Panel. b) Scroll down and select Windows Update. c) Click on Check for updates. d) If there is any update available, click on Install Updates. Device drivers are essential programs operating the devices on your computer. Problematic drivers can usually cause various computer problems, including Blue Screen of Death. Once you come across these problems, it is necessary for you to update drivers on your computer. 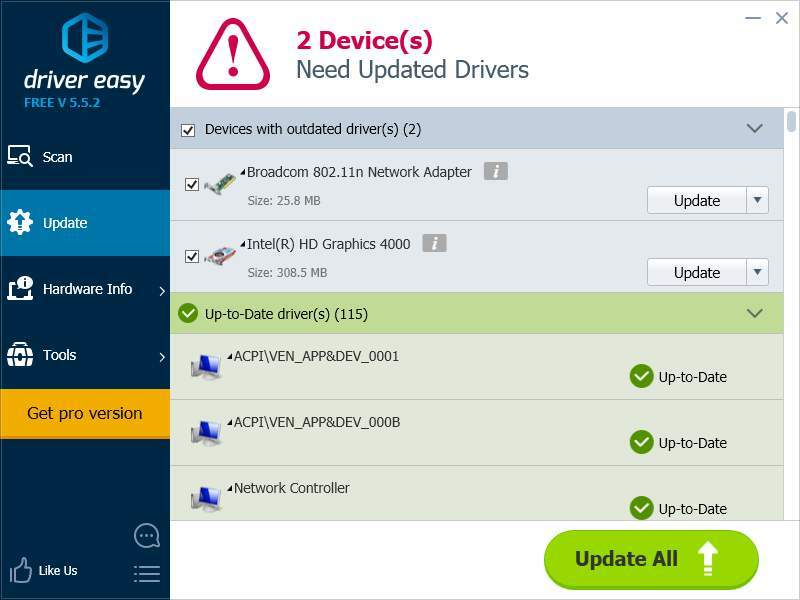 To update drivers, we recommend you using Driver Easy. It is a professional driver tool designed for computer novices. 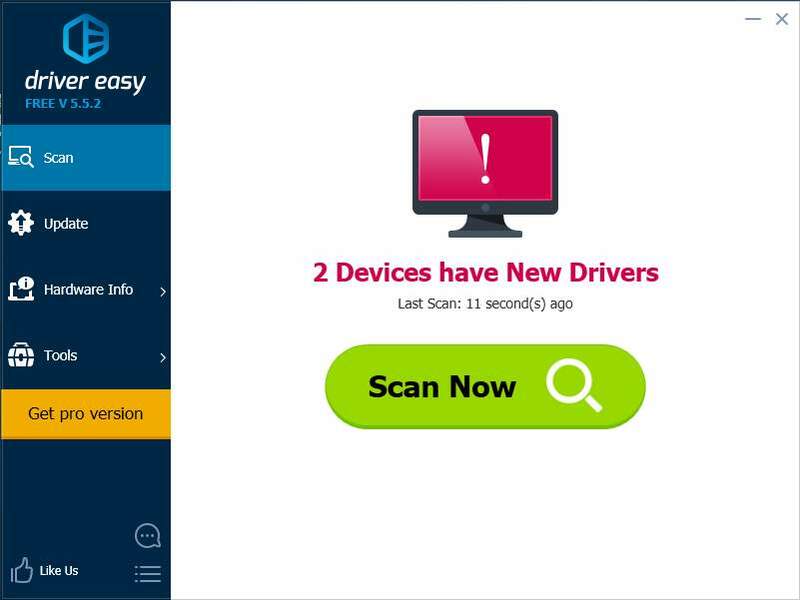 With Driver Easy, you can easily update your drivers without worrying about making mistakes. It can help you find the latest and credible drivers suitable for your operating system. You can update your drivers with either Free or Pro version of Driver Easy. But the Pro version can help you update multiple drivers automatically with just TWO clicks. b) Open the program and hit Scan Now. Outdated drivers will be detected in a few seconds. 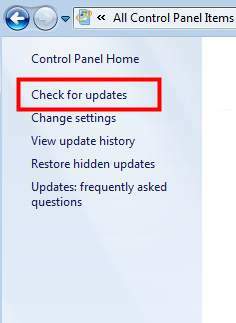 c) Click on Update button next to each device, and Driver Easy will download the driver for you. You can also hit Update All at the bottom right to update all the device drivers (this requires Pro version). 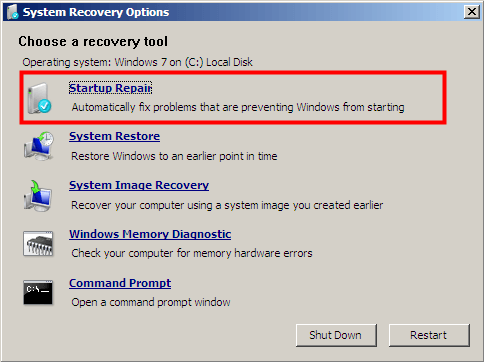 Sometimes BSOD problems can be fixed by running Startup Repair. 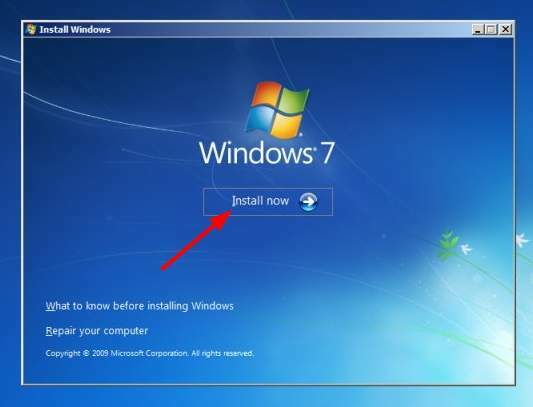 To do this you need to use the Windows 7 installation media you have prepared. b) After selecting the language and region, select Repair your computer. 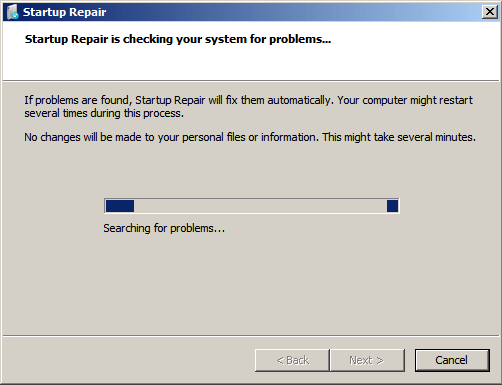 c) Then select Startup Repair. d) The system will scan your computer and try to fix any problem. 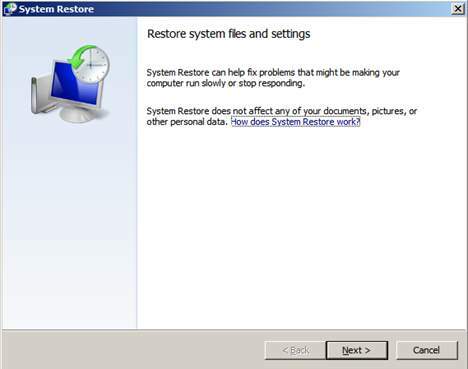 a) Repeat the steps a and b in method 4.
c) Follow the on-screen instruction to finish the restore process. 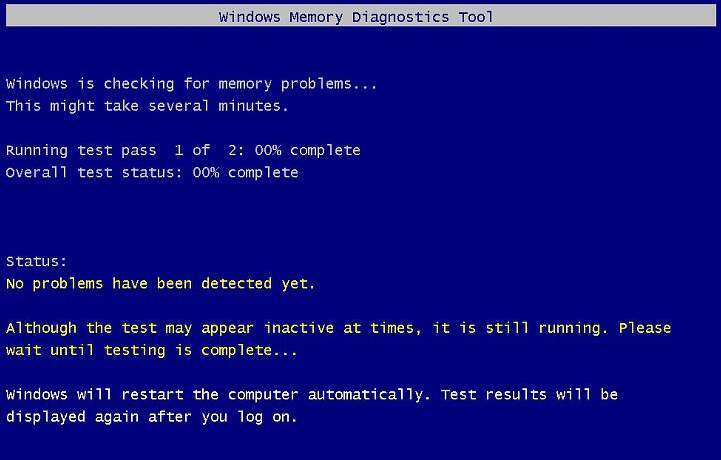 Your RAM (Random-access memory) is also the hardware that can cause Blue Screen of Death. 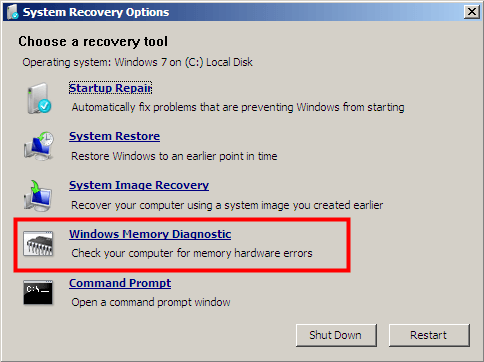 To identify issues on your RAM, you can run Windows Memory Diagnostic. 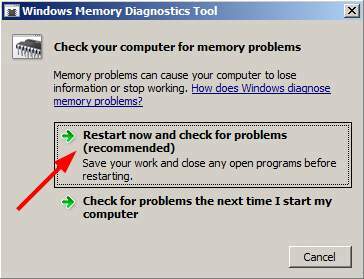 b) Click on Windows Memory Diagnostic. 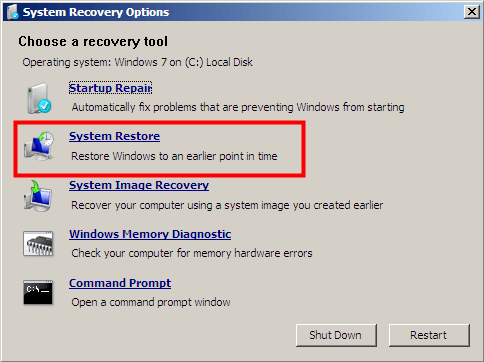 c) Select Restart now and check for problems. d) Your computer will restart and Windows Memory Diagnostics Tool will be running. e) After that your computer will restart again. You can see your BSOD problem is fixed at this time. MBR (Master Boot Record) is the information on your hard disk that identifies your operating system. It is essential for the system to boot normally. If this information corrupts, it can lead to serious problems, including Blue Screen of Death. To fix MBR, you can perform the steps below. c) In Command Prompt, type the following command lines and hit Enter after each. 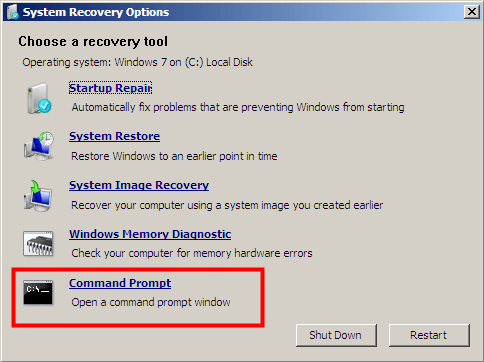 d) Exit Command Prompt and restart your computer. If your BSOD is caused by faulty MBR, the problem should be fixed now. If none of the methods above can be helpful for you, you can try the ultimate option — re-installation of your operating system. 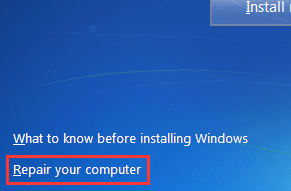 a) Take the step a in method 4.
b) Press Install Now and follow the on-screen instruction to re-install Windows 7 on your computer. In fact, once you encounter a Blue Screen of Death, you don’t have to worry. It is important for you to try to undo the current operation on your computer. On the other hand, there are various BSOD errors. There can be different solutions to different errors. You can note down the error codes and any other error messages that can reveal the sources of the problems. And you can search them on the Internet for useful information. If you have found that there are something wrong with your hardware, you should contact the manufacturers of your devices. They can offer you useful suggestions in this respect.